The blues are coming to Royal Oak. 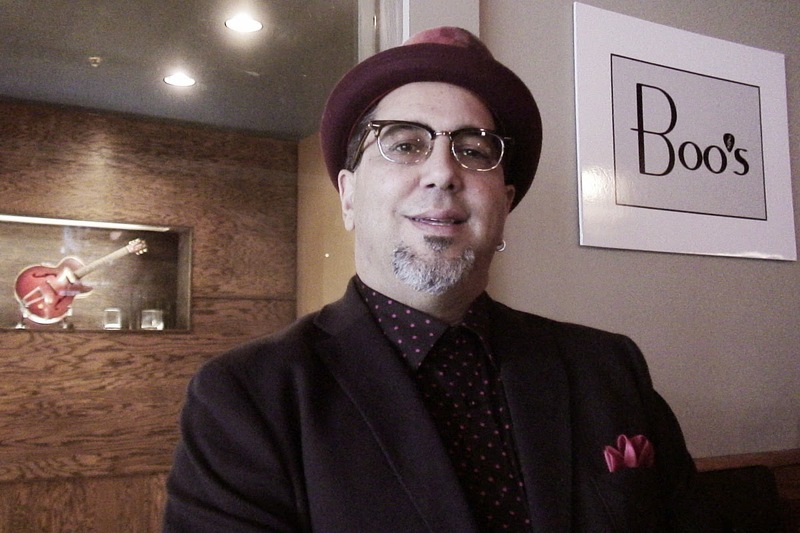 Boo’s, a new blues club inside Mr. B’s on Main Street in downtown Royal Oak, has a new performance space that will be hosted by a familiar face: blues musician and radio personality Mark "Pazman" Pasman. who hosted the “Motor City Blues Project” on WCSX-FM for 26 years before the station canceled the show in February. Pazman will serve as Boo’s host and musical director, booking the acts for the 100-person capacity room. Pazman kicks things off Saturday, Nov. 15 with a free Pazman's Supersession show. Click here to see music writer Gary Graff's story about the new club. The Southfield Public Library will feature Lady Sunshine and The X Band at the next Jazz & Blues @ Your Library performance at 6:30 p.m. on Wednesday, Nov. 19. The band is a two-time winner of the Detroit Blues Challenge; finished second at the International Blues Challenge in Memphis, Tenn., in 2005; made it to the IBC semifinals in 2013; and has twice been named best blues band in Washtenaw County by Current magazine. General admission is $5 and there is no admission charge for children under 12. Texas-born, Louisiana-raised pianist/vocalist/songwriter Marcia Ball celebrates the release of her new Alligator Records CD, "The Tattooed Lady and the Alligator Man," with a live performance on Nov. 22 at Callahan's Music Hall in Auburn Hills. "The Tattooed Lady and the Alligator Man" is her sixth release for the label. Four of her previous five releases received Grammy Award nominations. Outstanding Musician (keyboard) and has seven Living Blues Awards in all. It is going to be a busy weekend for Jim McCarty. The rock and blues guitarist and singer well known internationally for his work with groups such as Mitch Ryder and the Detroit Wheels, Cactus, and The Rockets, will host the Detroit Blues Society jam on Saturday at Shelly Kelly’s in Fraser; and then will be part of a Johnny Winter tribute on Sunday at Callahan’s Music Hall in Auburn Hills. On Saturday, he’ll perform with his band Mystery Train, which includes his son Dylan McCarty on drums and bassist Marvin Conrad. Singer-guitarist Emmanuel Garza completes the lineup. He joined the band after the death of McCarty’s longtime musical partner Rick Stel in April. McCarty’s roots with Garza are deep as well, going back to their days together in the Detroit Blues Band. That made the transition to a new lineup following Stel’s death a little easier. McCarty has played Shelly Kelly’s before, years ago when it was the Erin Pub. McCarty and harmonica player-singer Jason Ricci will join Johnny Winter’s backup band for the tribute performance on Sunday. McCarty knew Johnny Winter for years. In late July, only two weeks after Winter’s death, McCarty went to see his Cactus bandmate, drummer Carmine Appice, perform with Vanilla Fudge in the Rock ‘n’ Blues Fest – A Tribute to Johnny Winter show at DTE Energy Music Theatre. Also on the bill was the Edgar Winter Group, fronted by Johnny Winter’s younger brother Edgar. “I joined them for a tribute to his brother at the end of the night,” McCarty said. “We did ‘Highway 61,’ ‘Rock ’n’ Roll Hootchie Coo’ and couple of other things. Can’t make it to either show this weekend? 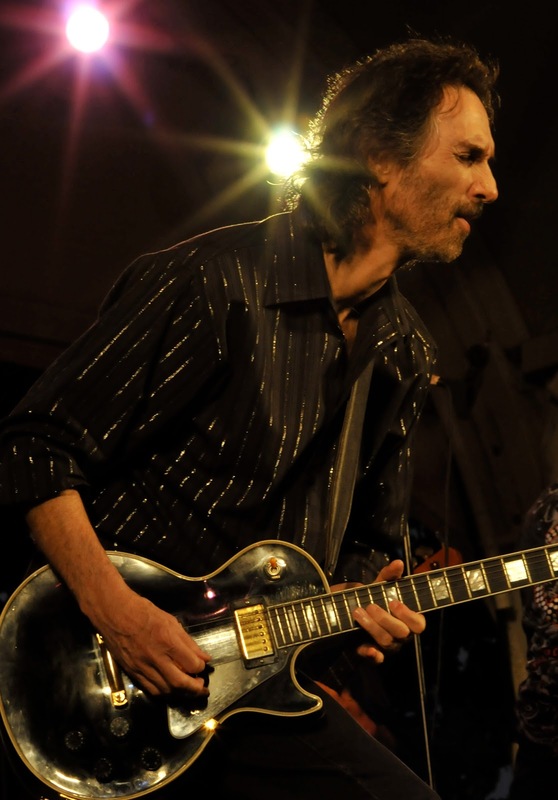 McCarty will be back at Callahan’s on Nov. 29 with his friend, blues guitarist Sonny Moorman.